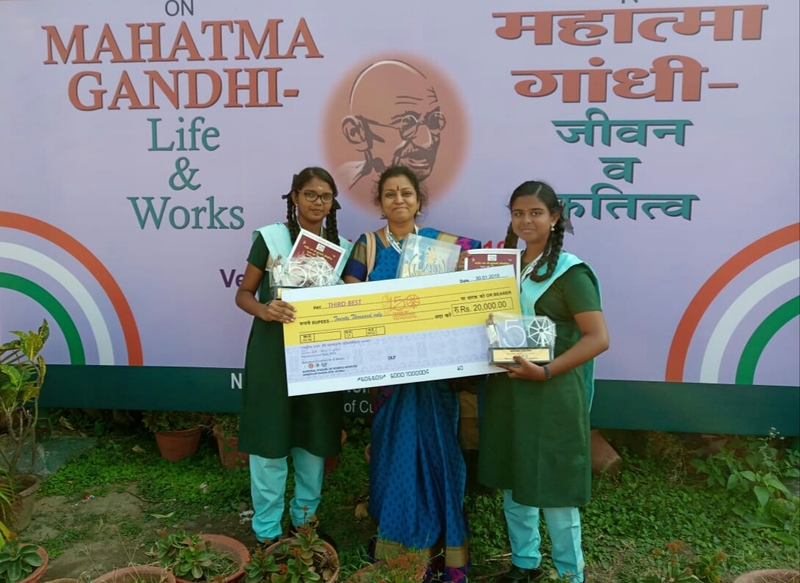 National Council of Science Museums, Ministry of Culture, Government of India at Birla Institute of Technology and Museums in Kolkatta conducted a National Level Quiz on the Life and works of Mahatma Gandhi to commemorate the 150 th birth anniversary of Mahatma Gandhi. 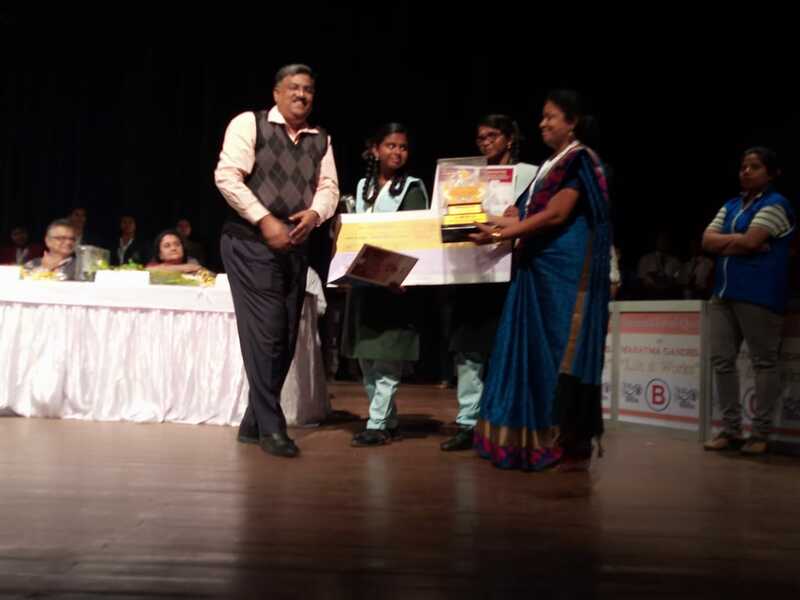 Initially the State level competition was conducted on 2 October 2018, in which our students Sanjana and Indhu Varsha of class 9 stood first. On January 29, 2019 in Kolkatta in Birla Institute of Technology and Museum we took part in the Semi Finals in which the toppers of all the states of India participated. The first place winner from each pool was selected to play in the most awaited National Finals. Our students played very well, reached first place and qualified to enter the National Finals. The Finals was held on January 30, 2019 which consisted of many innovative and exciting rounds. Every team on stage representing their state played extremely well and from the beginning there was a neck to neck competition with almost equal scores. Our students once again showcased their quizzing talent by bagging Third place . Dr.Jawhar Sircar, Former secretary, Department of Culture, Government of India was the chief guest for the occasion. Our students were awarded beautiful trophies and 20,000 cash prize. A special Trophy with the miniature of Gandhiji was also given to our school. Our students said this quiz gave them excited flight trip, loveable memories, new exposure and above all they learnt many life skills and values through the preparation for this quiz.